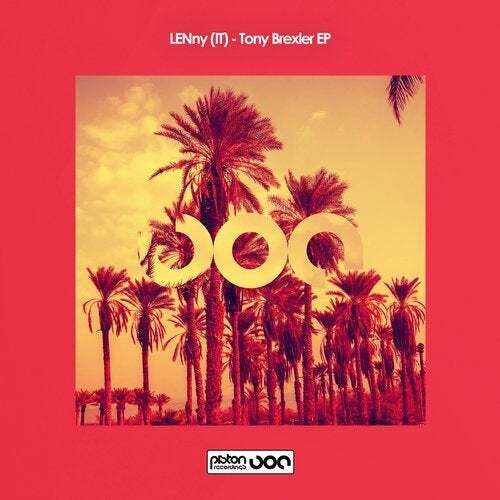 Italian DJ and producer LENny debuts on Piston Recordings with the delicious two track Tony Brexler EP. LENny is known as a major musical influence around the Adriatic Coast which is a testament to his unique style. He was captured by the musical bug from a young age and over the years he has gained valuable knowledge from other cultures. He has travelled the world, listening and taking in the vibe which he translates to his DJ sets. As a producer he delves deep into the underground sound of New York and beyond, bringing his own unique flavour into the mix. Great to have him on board and we hope to hear more soon. First up we have the Chords Night Mix of the title track Tony Brexler. The track relishes in deep house delight as chunky beats and sharp claps generate a smooth rhythmic flow with a little help from scattered percussions. Mesmerizing, elongated stabs are joined by plucky bass notes and shorter stabby chords creating a solid groovy mover. Cool vocals sweep through the track adding character as the dancey rhythm continues to take hold. A top-notch slice that will not disappoint. Poker Night is a real solid deep house mover with a tight beat and a raucous low-end. Punchy kick drums are joined by shuffling hats and sporadic percussions. A deep rumbling bassline dominates as striking synth hits cut through the murk. Muffled vocals fade up bringing a true New York vibe to the sound. The break throws up an array of synths, carefully crafted into a rhythmic sequence that becomes infectious. An excellent cut filled with superb sounds that will be a welcome addition in your crate, no doubt.